Guests of all ages love our inflatable obstacle courses in Indianapolis, IN and surrounding areas. Test your stamina and agility by racing a friend through one of our challenging courses. 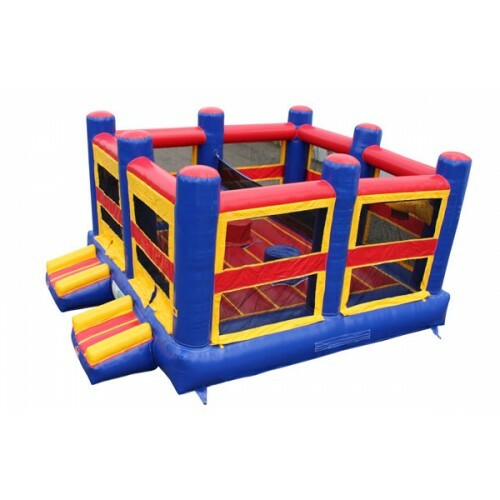 We offer a variety of Indiana blow up obstacle course rentals of various sizes and difficulty, each with unique obstacle elements. Crawl through tunnels, scale walls, maneuver through obstructions, and slide slides before your competition does.